YouTube has announced that it will offer video creators the option to label their works with Creative Commons licenses. 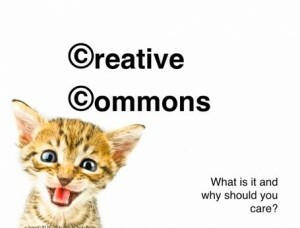 If you choose to use Creative Commons licensing, people will be able to use parts of your videos and create remixes according to the Creative Commons rules. This means that people who want to create videos now have more options than before. Info on how to use the YouTube video editor and an interview with the creator of Creative Commons, Lawrence Lessig, is contained in Richard Byrne’s “Free Technology for Educators” blog for June 2, 2011, Creative Commons Licensing Comes to YouTube.